Do not mock the Leavers. Find the Remainers. What a week. My daughter turned 17 on Thursday, 23rd June, so was too young by one year to be eligible to vote in the EU Referendum. Early on Friday morning I found her in tears, reading online news sites and trying to absorb the reality of a Leave vote. If she had been allowed to vote, she would have voted Remain, as would her 15 year old brother, as would the majority of her friends, as would the majority of her A Level History class who took a vote of their own on Thursday. Make no mistake, these young people will be registering to vote as soon as they are able, they will engage with and inform themselves about current affairs, they will not be influenced by one newspaper or one news channel which they will understand has its own ideological agenda. 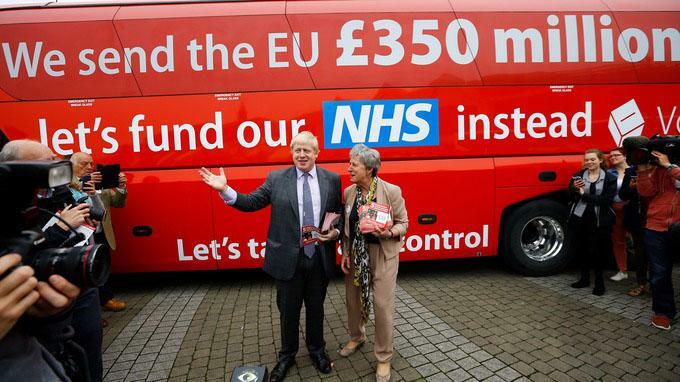 It is almost impossible to imagine them being convinced by simple slogans or by a red bus with an empty and insincere promise emblazoned on its side. How to reassure my daughter and her friends? Our own immediate situation is alright. We still have a house, a good household income, her school is still functioning, life is going on. And we are able look after each other and support each other so this helps calm us, somewhat. Beyond our own immediate world, I’m watching post-Brexit time uncurl itself and trying to understand how I, as someone who wanted the UK to Remain, can best function within it. To my mind, now is not the time to be calling out, criticising and mocking people who appear to have voted differently to me. Nor is this the time to blame a whole sociodemographic group because a majority of its members appears to have voted a particular way. I’ve been dismayed by the number of comments on social media criticising the “old”, the “working class,” and those who did not go to university. Better, surely, to put that energy into finding the millions of people belonging to these groups who voted Remain, the ones on our street as well as the ones on our Twitter timeline, joining together with them, sharing information and ideas to help us decide what to do next, to decide who to believe in these uncertain times. At her Saturday job yesterday, my daughter was heartened by an elderly lady who approached her, out of the blue, to say how sorry she was that people had voted Leave. Rather than feeling anger towards her (an old person! ), my daughter immediately felt empathy and comradeship. Similarly, I have felt let down by people proclaiming they are “proud” that the area they live in is an area which voted Remain. Alongside this, are incredulous (and often extremely hurtful) comments about Leave areas which had received high EU subsidies. I would like some of these commentators to consider reaching out to the millions of Remainers living in Leave districts who are currently feeling isolated. They need support, not ridicule. What a week. What turbulent times. The last thing anyone probably needs now is another blogpost but here it is anyway. Today’s blogpost reminds me of the novel, Noughts & Crosses. This is not a criticism of views, people or political preference. The image made me shudder, nevertheless. Mostly thinking about divided and subdivided society. I’m still reeling. Reeling from the vehemence leading up to the Referendum, reeling from all sorts of things said and promised, misinformation and the Media’s role, the finality and the the dishonesty. Most of all sad. And in Scotland we now face another referendum. I read somewhere today that Mr. Cameron told Mr. Junker back in 2014 he calculated a 70:30 pro remain result to which Mr. Junker replied: Even in Luxembourg this would be absolutely impossible. – And this is true all over Europe, including, of course, France and Germany. I can only hope that we find a way to bridge the rifts between those who feel “left behind” under the current economic situation in the various european states and do this in more aspects but kindling antipathy against an abstract supranational body that is made up by their own representatives and gouvernments. – Those who „can afford“ understand each other easily enough. I fear that those who deepen the trenches are only too ready to fill those trenches with the bodies of their followers when they find it appropriate. We don’t know yet, but maybe the referendum will, at some time in the future, be looked upon as a starting point for a round of sensible reforms in the way the nations in Europe interact and collaborate for the good of the public and not “only” the businesses. And even if, after years of consultations, Britain should in fact leave the EU: Well, it will be still a part of Europe with all those close ties that implies. All the best from northern Germany! Some of the stereotyping is so misleading. I know many older ( over 50’s) voters who voted remain, and some younger voters ( under 25) who voted Out. Equally, my local Greek Cypriot Chip shop owner and Sikh off license owner voted Out because of immigration. The hugely prosperous Four Oaks where I live voted in, by a whisker, so no economic deprivation protest here. Differing motivations can produce a like result. As for reaching out, it is difficult to do so, as the self inflicted economic suicide and Union destroying outcome takes hold.